So it seems that Amitabh Bachchan took out time from counting his Twitter followers to watch “Avengers: Infinity War” and he came away puzzled, as “tajub hai” as Thanos would have been had he stumbled upon Ajooba. Of all the things you can blame Big B for, be it a relentless desire for validation through social-media or his obsessive following up on unanswered communication or him endorsing every product under the sun, being bewildered by the latest Avengers film is not one of them. Avengers Infinity Wars is a culmination of eighteen films of universe building, and to be asked to make sense of this off-the-bat is like being dropped, without context, into the final episodes of “Pavitra Rishtaa… Tere Mere Mann Ka”, and trying to make out why mothers look younger than daughters, how many characters are being played by the same actor, who exactly is Archana and what history does she have with Manav. For Avengers Infinity War is truly epic, and I say it being infinitely aware of how overused this word is, not just in terms of its “”Mera Naam Joker” running time, but in terms of how it plays out, it is sufficiently familiar in that those invested in the world get what they want. and yet surprising enough that the last twenty minutes leave you gasping for breath, and wondrously, and I cannot believe I am saying this for a Marvel franchise product, moved. This is a stupendous feat. Because with Marvel, you are not just dealing with stories and characters. No, that would be way too prosaic. You are working through lawsuits, rights disputes, contracts, focus groups, studio executives, merchandizing, branding, comic book continuity, retcons, spinoff TV series, new sub-franchises, reboots, and that something this good comes out from the ceaseless whirring of the Infinity Stones of uber-capitalism is, for the want of a better word, a marvel of product engineering. To truly appreciate the scale of what Marvel pulled off, it is instructive to look at how others, equally smart producers of infinite revenue machines, got it wrong. Exhibit one. Transformers. A mash of CGI fighting with another mash of CGI. No emotional investment, no distinct characters, poor acting, sophomoric script, predictable endings, in short, cinematic turdball, the Rinku Singh of popcorn entertainment. Exhibit two. Star Wars. Better than Transformers, but that is like saying a politician is more honest than Laloo Yadav. While some missteps are but natural in such grand cross-film narrative building, where it went off the rails, especially in the Last Jedi, was that it did not give the audience what they expected, leaving at least a substantial portion of the fan-base, feeling cheated. Familiarity is the hallmark of a franchise product, when you go to McDonalds and order fries you expect them to taste like how you remember them to taste, and if instead the server gives you sushi and then says, “But this is gourmet !” you are still going to feel like you got played. Now personally I liked the ending of the Last Jedi, the conflict between dogma and humanity appeals to the aantel in me, but that’s not why people go to see a Star Wars movie, try explaining that to your seven year old, why Yoda is setting fire to the Jedi canon, or how Skywalker is a tortured soul going through a crisis of faith, and you will realize why the Star Wars franchise just cut off its own legs with a double edged lightsaber. Exhibit three. DC. Like the CPM in Bengal now, an unmitigated disaster. Like the CPM, they had it good once. They wanted stand-alone movies, so they got one of the world’s best directors on their payroll, a director committed not to the world of comics, as Joss Whedon was, but to good cinema. And good cinema is what Nolan made, dark, deep, angsty cult classics, at least the first two Batman films, where the superhero trope was used to explore the nature of evil, and he was spectacularly successful in what he set out to do. Spinning off the DC universe though was not his brief. But then Marvel happened. No deep rumination on the nature of chaos or of existence, they went for color, Hulk Smash, and flying shields, red skulls, thunderous hammers, and a structure that was built like a TV series, except that every episode was a major motion picture. The money flowed in, and DC, like the man whose neighbor just bought a color TV, said “We want that”. People went to work. But as anyone who has ever built a significant software product knows, trying to add features that the core architecture was not designed for is a path to the darkest recesses of hell. What makes it worse are impossible project deadlines. What took Marvel eighteen films to get to, DC tried to get it in four or five. They took the darkness of Nolan and transformed into darkly lit scenes, leading to the coup de grace that was last summer’s Justice League, a hot mess that Joss Whedon was finally called in to save, but not even he could pull it off given the advanced state of putrefaction. And yet when you think of it, in Justice League, we got pretty much the same story as Infinity War, a cosmic villain bent on universe destruction, out to possess certain macguffins, and a group of superheroes, with deep-rooted trust issues, uniting to stop them. But that is exactly where the similarity ends. Because Justice League, despite the superficial similarity, is pretty much everything that Infinity Wars is not, in the way Harman Baweja is somewhat like Hrithik Roshan but not really. For one, audience connect. By the time we get to Infinity Wars, most of the major characters have their own dedicated film, some like Iron Man and Captain America and Spiderman have had multiple, and even the minor ones like Vision and Scarlett Witch have been around for years. That is why the audience cares as to what happens to them. In Justice League, most of the League members like Cyborg, Aqua Man and even Flash, yes Flash, get barely three minutes of exposition, which is why when the big bad Steppenwolf shows up, with his band of mosquitoes straight out of the swamps of Barrackpore, you don’t care if the band of superheroes get obliterated, develop malaria, or end up joining the Aam Aadmi Party. You don’t care, unless you grew up reading DC comics that is, but the whole point of the franchise is to extend the universe beyond its traditional consumers, isnt it? Which brings me to the biggest dud of Justice League. Steppenwolf. He is no Joker or Penguin or Luthor, with name-recall, not even Brainiac or Darkseid, far less the Anti Monitor. DC does nothing to build his menace up in the previous franchise entries, and the first time we encounter him is in Justice League. What is his problem? Who knows? Do we care for him? Of course, we do, in the same way we care for a bunch of triangles being rendered through a graphics card. This is where, I believe, Infinity War makes its master move. It fixes one of the biggest problems in the Marvel cinematic myth, that it never really, in not one of its eighteen movies, has managed to create a compelling villain. Without Thanos, Infinity Wars falls, and Marvel knows that, which is why they give him a hell of an arc. He is not a CGI Blue Hulk, but a fully realized character, not just a genocidal maniac of epic galactic strength but also one who is capable of emotion, and it is this dichotomy that establishes his humanity, giving the conflict the kind of emotional resonance that otherwise would have been impossible to achieve. Great story-telling is everywhere in Infinity War, nowhere more so than in the last act, when even though you know, in the way you know that Rahul Gandhi will be elected Congress president, that nothing of great permanence will happen to superheroes, especially those to be played by superstars who have signed three-movie contacts, you still feel sucker punched after it is all over. A winner. Through and through. You forgot to mention Loki. While I was sad to see him die, it was an honourable death. From being the main villain in the first Avengers movie to slowly rebuilding his relationship with his brother and fighting alongside him in Infinity War, his character arc does a full circle. There are theories that he might still be alive. That he has escaped with half of Asgard’s population, or that he was impersonating Bruce Banner. I believe he’s dead, this time for real. Can’t wait for Part 2. How will the Avengers defeat Thanos, now that he has all six stones? Would be one hell of an epic movie, that’s for sure. Loki is the god of mischief, right? I don’t think he is dead. Also, Loki is not stupid enough to just try and stab Thanos. Yep, one of the rare times a comic book movie had an ending you didn’t see coming (actually I can only think of Dark Knight, which kinda had that). Spot on review, thought they did a pretty decent job – for the most part – of managing all the superhero arcs (and egos) in a single film. It didn’t seem like they were given just given some lines just to satisfy the respective fan base, which one might expect given the sheer volume of characters. Quite impressive if you had invested into the previous movies. Snyder had to step down because of death in the family (daughter’s suicide), and that’s where Whedon stepped in, mostly for post-production, and not “to save a hot mess,” as you write. 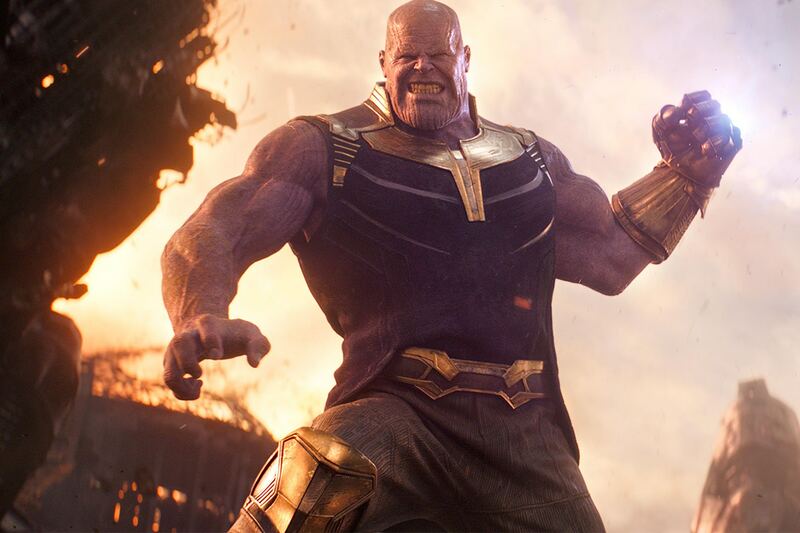 To be fair, nothing was done in previous Marvel movies to build up the menace of Thanos, other than post-credit scenes, lasting a few seconds, teasing at the character. It’s only in IW that his backstory is told, maybe with just a teeny-tiny slightly more detail than that of Steppenwolf’s. Also, Wonder Woman was a huge hit, so it’s not as if audiences didn’t identify with a DC hero. Also, DC universe has just started walking, with 4-5 movies. How much details and story arcs were there for all the Avengers’ heroes by the time Marvel’s 4th or 5th movie came out? Not a huge lot. You’re all over the place and with more misses than hits in your analysis and comparison of the two universes. Of course, DC movies have been more misses than hits as compared to Marvel’s – let’s wait and see how DC’s next couple of movies fare.